First I like that Shakushaku vibes that Skales have been spilling on almost all the videos you find him these days, maybe we create a Celebrity Shakushaku Competition! 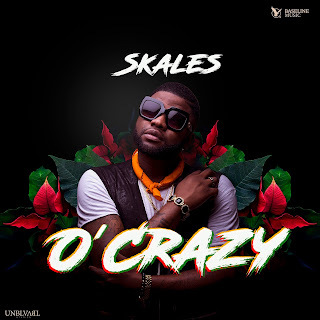 Skales releases video for latest single ‘O’CRAZY’. The video directed by Stanz shows Skales declaring his love for an on-screen girlfriend; the singer serenades her as she sits a floral swing. The sound of the song comes alive with the batá-drums as we see Yoruba traditional dancers move to the rhythm of the beat. The song which was released on March 9th, 2018, has had Skales’ fans eagerly awaiting the video.